David Alfaro Siqueiros' Lucha por la Emancipacio. What is the relationship between artistic movements and the historical periods during which they first appeared? Can the methods associated with these movements be detached from their original context for the benefit of later artists? Do the answers to these questions depend on which movements and periods we are discussing? The issue is of more than academic interest. Serious contemporary artists want to produce work relevant to, and critical of the societies in which they live; but in doing so, are they free to draw on any methods, from any point in history, or will only some be adequate to their needs? Should socialists expect them only to work with particular methods, and criticise them when they do not? “Leveler” was coined in the 17th century to describe those who tore down hedges in the Enclosure Act Riots. It was later generalized. As long as the working-classes have sought political and economic leveling these aspirations have been expressed in art and culture – from the social gospel of Matthew to the gestures of punk and early Hip Hop. Aesthetic leveling can be used in ways that divert class anger toward the wrong targets or toward personalized solutions. But it also can express movement toward proletarian consciousness. And the socially promiscuous artist – coming from, and historically mixing with, all classes – is often predisposed toward leveling (as well as a political volatility that produces the aforementioned variations). 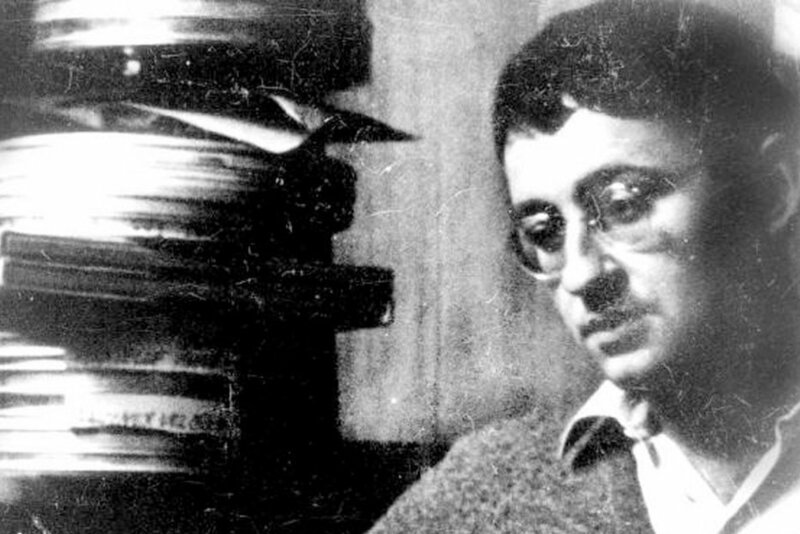 Within five years of writing these lines, Guy Debord – author, filmmaker, and leader of a coterie of radical intellectuals known as the Situationist International – despairing at the ever quickening advance of the society he opposed, brought his own life to an end. He had lived long enough to see the collapse of the bipolar world order of the Cold War and the Americanization of the world. There’s something strange about the strange – and unpacking that something is the task Mark Fisher sets himself in this lucid little book. The Weird and the Eerie marshals a series of essays into a sharp theoretical intervention, argued tightly and packed tersely into 120 pages. Specifically: there are two distinct modes of the strange – the weird and the eerie – and this distinction revolves around the different ways they deal with exteriority. The weird involves an irruption of the out-there in here: “the weird is that which does not belong”, hence its close affinity with fantastic fiction. It’s about time. Not the obvious reaction when one of your heroes dies. But Holger Czukay was all about time. Not just in the sense, as Can’s bass player, of playing in time, though few could better that Czukay (just listen to “One More Night”), but in the sense of sequencing time: ordering and shaping it, as an editor. Between the two approaches, his two roles, Czukay created a sense of time speeding up, time slowing down, time as an elastic, malleable essence. Working against the regulation, the containment of capitalist time. But Holger Czukay is all about time in another sense. Due to both forming a band late – in his thirties – and dying relatively late in musician terms, Czukay’s life spanned a huge stretch of history and culture. The Struggalo Circus, a group of radical activists who are also dedicated fans of Insane Clown Posse and Psychopathic Records, were finishing their preparations before we headed to the Juggalo March. The four (nom de guerres: Ape, Dimension, Kitty Stryker, and RaiderLo) had split a hotel room in Chinatown, waking up early to don their regalia. Ape, his fully made-up face framed by bleached blonde hair and beard, looked oddly appropriate for the juggalos’ leap into DC protest politics: he wore a suit. “I dress like this all the time,” he told me. During the day he fielded at least a dozen interviews. Crane makes an exquisite formal and substantive argument in defense of Bob Dylan as a poet, though takes a position typical of the Left regarding Dylan’s “turns” after his classic activist period. The relationship between art and society has always been a central question for artists, thinkers and activists on the Left. In the twentieth century, it was commonplace to believe that art has the power to change the world. It was this conviction that motivated Georg Lukács to defend the literary realism of writers like Thomas Mann over the stylistic innovations of a James Joyce. For Lukács (1977: 33), literature was “a particular form by means of which objective reality is reflected,” and as such it was “of crucial importance for it to grasp that reality as it truly is.” By displaying social reality in all its contradictory complexity, Lukács believed, art could serve the interests of class struggle and social emancipation. China Mieville’s novels are genre fiction at their best. They can be largely grouped into two broad categories: Twisted takes on British and European urban life (The City & The City, King Rat, Kraken) and kaleidoscopic, imaginative, and often Marxist fantasy and sci-fi adventures (The Bas-Lag trilogy, Embassytown). This changes rather drastically with This Census-Taker, Mieville's latest, which combines trace elements of magical realism and fantasy with the minimalism of authors like Hemingway and Cormac McCarthy. This odd mashup works to produce a narrative that is engrossing, thought-provoking, and perhaps excessively ambiguous. We have reached the Hegelian endgame; the fusion of art and philosophy. Not quite, as Arthur Danto notes, a negation of art by philosophy but the fusion of both. The art object has become, it is claimed, a philosophical argument in itself. But it is a pyrrhic victory – a Twilight Zone ending for art history, modernism and the avant-garde. Anything can be made into art. But there is a small army of theorists dedicated to parsing out what is and isn’t art. Anyone can be an artist – if they aren’t too attached to the idea of eating dinner. Art and philosophy have fused but in the absence of the social revolution that was meant to accompany that fusion. The result is a philosophical-art object that is profoundly weak. If the present model of serious contemporary art is a weak avant-garde, the solution is a popular avant-garde: a rapprochement between artistic experimentation (as art) and mass emancipatory politics. Ta-Nehisi Coates' sharp criticism of Bernie Sanders on racial justice generally, and the issue of reparations in particular, has kicked up some interesting discussion and heated debate. Left responses to Coates piece – and Coates’ subsequent responses to his critics – have foregrounded once more the importance of thinking through the relationship between “race” and “class” in the imagination and the political strategy of an emancipatory social movement. The importance of such discussions, though clearly relevant to the current Presidential campaign, extends well beyond it, revealing and potentially informing the state of the radical imagination, as expressed in artistic works, critical discourse, as well as social movement culture, tactics, and strategy. Since appearing last summer, Ta-Nehisi Coates’ book Between the World and Me has sparked enthusiastic discussion, from Democracy Now! to the Daily Show, from The Atlantic to Facebook, from classrooms and hallways to street corners and barbershops. The text has become a NYT #1 best-seller, has now won the National Book Award for non-fiction, and has no doubt been largely responsible for earning its author a prestigious MacArthur “genius” grant. Among the many questions being widely discussed is one of literary lineage: Is Ta-Nehisi Coates the new James Baldwin? Go back and read that opening line. Try, if you can, to de-familiarize yourself with it. Picture it in your head. Allow yourself to be surprised by the imagery. Wake up, in your bed, after a dream you wish to never revisit, only come to and realize that something is very wrong. Make the realization that you are now, and without explanation, a massive crawling creature reminiscent of a cockroach, a beetle or a bed bug. Let the truth of this realization sink in: the confusion, the panic, the powerlessness, the utter abject terror. The knowledge that when your nearest and dearest see you they will now recoil in disgust and potentially try to destroy you. That you are now decisively outside of humanity. When Wes Craven died recently, most obituaries focused on his successful money-making Nightmare on Elm Street and Scream series. Very few even mentioned his earlier independent commercial films The Last House on the Left (1971) and The Hills have Eyes (1977), both of which later had higher-budget but undistinguished remakes. These early films belonged to the exciting and innovative decade of the 1970s when the ignominy of American defeat in Viet Nam and crisis of confidence in the White House stimulated many iconoclastic and radical commercial films now conspicuous from the mainstream by their very absence. Craven then belonged to a group of innovative talents such as Brian DePalma, Tobe Hooper and Larry Cohen, all of whom took over familiar generic conventions for their own particular critical perspectives.